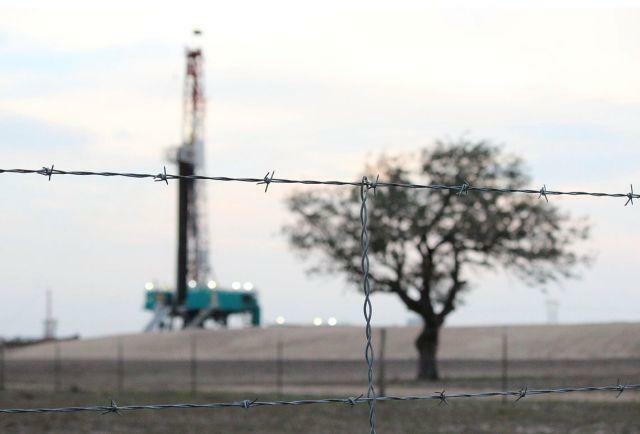 You Can Buy Your Way Into Texas' Oil Boom. But Is It Worth It? A jointly-owned oil rig atop the Eagle Ford shale south of San Antonio. In the history of Texas, few figures are as colorful as the wildcatters: oil prospectors who gambled big on the lure of black gold and striking it rich, or went broke trying. But what if you could be a wildcatter with a click of the mouse? According to a company selling stakes in rigs right now, you too can own an oil well – or at least part of it – right here in the states. Texas Standard host David Brown turns to energy expert Michael Webber to find out his take on the rush. Is it a sign the Texas oil and gas boom is big enough to let in the little guy? Or could the increased speculation indicate the bubble is about to burst? Listen to the interview in the player above. This post was updated at 4:47 p.m. ET. The cleanup of an oil spill near the Houston Ship Channel is continuing today, and authorities say they have opened one of the country's biggest ports in a limited capacity this afternoon.